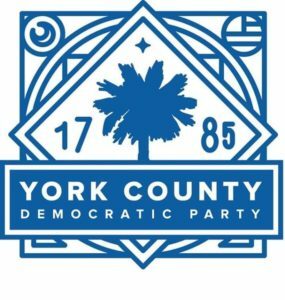 The Democratic National party, the Democratic Party of South Carolina, and locally, the Democratic party of York County listens to our constituents, and we advocate for their positions on Healthcare, Taxation, Social Services, Gun Rights, War and Terror, and all of the issues that Democrats and progressives are passionate supporters of. We’ve seen the Republican party strongly advocate for positions on Sensible Gun Rights which are in conflict with most of their constituents, yet completely aligned with lobbying organizations such as the NRA. We’ve seen how taking these positions lines the pockets and coffers of the Republican candidates and incumbents, while allowing mass killings to occur on average of one event every 10 days. Taking this position is not only unethical, but it is reckless, and dangerous. The Democrats listen to their constituents, and we advocate for positions that are for the good of all, not just a few.